The legal system is an integral part of any society, built to protect its citizens and maintain their rights. This online Diploma in Legal Studies will provide you with simple definitions and clear explanations of important legal concepts, how the legal system works, different types of laws, and how laws are created. By taking the course, your legal system will become clear and accessible to you. That is important knowledge, for life. This legal studies degree explains the adversary trial system, how legal procedures operate, and much more. You will gain an understanding of the legal profession with detailed explanations of the roles that are played by solicitors, barristers, judges, the jury, and magistrates. In addition, the Diploma in Legal Studies offers resources and activities to understand how law is created in the UK, from common law to the law of negligence. 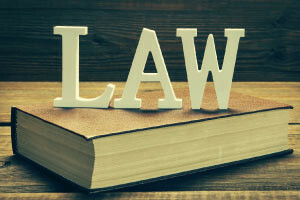 As you progress through the lessons, you will learn the characteristics of effective laws, the difference between civil and criminal law, the different aspects of law-making within courts, the relationship between the various law-making bodies, and the methods used to change laws including the reasons for such changes. You will also understand the role of a judge in law-making and learn about the adversary trial system, court hierarchy, the jury system, and civil and criminal procedures. This course will be of great interest to anyone studying law or those who would like to have a better understanding of the legal system. It will also be useful as a resource for educators. There is a saying: “the law was made for one thing alone, for the exploitation of those who don't understand it.” Let’s not fall victim to this. Check out the course, and gain an understanding of your legal system today. Describe the characteristics of effective laws. Differentiate between civil and criminal law. Discuss the methods used to change laws and the reasons for such changes. Explain what role a judge has in making laws. Describe the different aspects of law-making within the courts. Describe the relationship between the various law-making bodies and learn of the adversary trial system, court hierarchy, the jury system, and civil and criminal procedures.